Automotive services ads in Sydney. Thank you for visiting our free advertising website Automotive services , Sydney section. We provide high response free classifieds and free advertisement. Use our online free Automotive services classifieds placement system to find, list, offer Automotive services online! Is your heavy-duty equipment stuck in a bind and you need immediate assistance? Famous Heavy Towing Center is ready to assist you and get the fleet out to you as quickly as possible. With years of experience and high-quality trucks, we can accurate estimate the tow situation in minutes and give you quote at an affordable price. Specialists in mechanical, electrical and transmission repairs for European vehicles on BMW, Mercedes-Benz, Audi & Volkswagen. Offering quality car service & repairs at a fair price. Our mechanics service Artamon, Chatswood, Lane Cove, Naremburn, St Leonards and surrounding suburbs in New South Wales and are a 5 minute walk or 30 second drive to the train station. 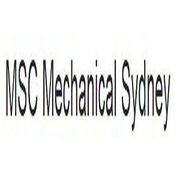 Affordable and reliable, MSC Mechanical provides professional mobile car mechanic and roadside assistance in Parramata, Burwood, Liverpool and Sydney wide. Call us on 0452 523 304. https://mscmechanical.com.au/ info@mscmechanical.com.au 0452 523 304 Bonnyrigg Heights NSW 2177 Australia. 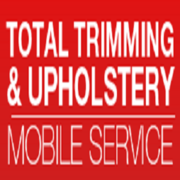 A mobile motor trimming and upholstery service company that comes to you. We come to you 6 days a week and we service all the Sydney metropolitan areas and some surrounding regions. Chadi Azzi the founder and proprietor of Total Trimming & Upholstery has more than 20 years experience in this industry. Planning your wedding theme? How about going for a Mercedes wedding car hire or car rental for your venue in Sydney? Call us at Exclusive events hire now. More info Visit Our Website -- http://exclusive-events.com.au/showroom/amg-c63-507-ug/. Are you in search of an effective and cost-effective technique that could fix your car dents in a way that would give it its original appearance? If yes, then you have landed onto the right place! We offer professional and first-rate paint-less dent removal services for cars that need dent removal without ruining the surface of the paint. If you are interested in buying used vehicles, then it is necessary to obtain a REVS check. This will provide you the entire information of the previous owner. It is quite worth spending your money in a peace of mind. REVS Checker will give you very sort of information that is required..
REVS Checker is the best platform for the people who want to buy the second-hand vehicle. Here you will be able to get the intact and precise REVS Check report in under $15 for auto, trailer, caravans, and motorbikes. REVS Check incorporates written-off details, encumbrances and theft details. Connect. With REVS Checker, get the accurate and easily understandable REVS Check Report in the couple of seconds. The report includes encumbrance details, written-off and theft reports. Visit our website for extra details..
Website: https://www.carmodels.com.au Address : 198 Wallace Street, Braidwood, NSW, Australia, 2622 Phone Number: (02) 4842 1122 Contact Email ID: modelcars@bigpond.com Contact Name: Daniel Parsons Business Hours: 24/7 Description: Operating from Braidwood, Australia, we dispatch all models displayed in on our online shop within 24 hours of receiving your order. Envision viewing your new used car being taken away all since you didn't get a REVS Check Report which would have demonstrated it was still under finance and the past proprietor didn't pay it off. Reports are speedy, shoddy and simple to acquire on the web and can undoubtedly forestall grief later on. Ultra Shield was launched with the purpose of providing customised DIY paint protection film kits to consumers who are interested in protecting their vehicles factory finish. Bulk film and universal kits also available for unique applications. Website:	https://ultrashieldprotection.com.au/ Phone:	02 8606 2842 Email:	sales@ultrashieldprotection. Are you looking for a car bumper repair services in Sydney? Scratchvanish is providing some of the best bumper repair services in Sydney with the best price. For More Info : - http://scratchvanish.com.au/terms-condition/ CONTACT DETAILS : - info@scratchvanish.com.au Contact us 7am-7pm 0467 551 564. Professional workshop been offering the best standards of workmanship and quality parts since 1945 at an affordable price. Website:	https://www.bricknellradiators.com.au Phone:	02 9580 5085 Email:	bricknellautomotive@gmail.com Address:502 Forest Rd Penshurst NSW 2222 Australia. Allambie Mechanical Centre is considered as one of the recommended centers for Tyre replacement and Tyre Shop in Manly, Warringah and Brookvale suburbs of Sydney, Australia. While dealing with tyre our employee keep in mind client need and then give result according their requirement. All brands like Pirelli, GT Radial, Michelin, Goodyear, Dunlop and many more are also offered by us . At Autoplus Artarmon service Centre, we have a team of trained Mechanic in Ryde, Artarmon, North Sydney Region. We are expert in vehicle automotive and servicing your or car for all your needs. Contact us today for more details! Contact Us-: AutoPlus Enterprises Pty. Ltd 29 Whiting Street Artarmon New South Wales 2064 Australia 0413 855 555 Visit Here-:http://www. Max Car Removal in Perth has the ways and means to offer you top dollar for your car collection removal. We buy all makes and models in any condition. https://www.maxcarremoval.com.au/car-collection/. 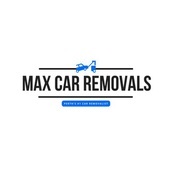 Max Car Wreckers Perth are your ticket to a free car removal that will put cash in your pocket. With us, there is no hassle and no headache. Call 0426 500 021 https://www.maxcarremoval.com.au/car-wreckers/. Kismet Mechanical has a team of mobile car mechanics in Sydney, who are determined to provide you with high-quality-yet-affordable, professional services. We have years of industry experience, which allows us to satisfy customer needs with ease and our expertise. Address: 95A burrows Rd, Alexandria, NSW 2015 Website: https://www. If you are looking for high quality batteries Sydney for your vehicle then just reach out Garry’s Auto and Batteries. Here you will get a wide range of reliable products fitted to your car, 4WD, caravan, light commercial, buggy or mobility scooter. It even offers testing and diagnostic services. For more info contact us @ 0298992522 or visit our website http://www. We are a dirt bike and spare parts company based in Villawood Sydney. We sell online and in store. We have over 30 dealers in Australia carrying our products. We own two brands of bikes ( American brand Pitsterpro and Chinese brand DHZ) We sell 50cc, 110cc, 125cc, 140cc and 160cc dirt bikes. We also sell all spare parts for those models. Kismet Mechanical has a team of mobile car mechanics in Sydney, who are determined to provide you with high-quality-yet-affordable, professional services. We have years of industry experience, which allows us to satisfy customer needs with ease and our expertise. Contact Details: Address: 95A burrows Rd, Alexandria, NSW, 2015 Phone: 0412040463 Website: https://www. Looking for affordable, honest and upfront auto electricians? Southern Cross Automotive Repairs is your one-stop auto shop for trustworthy car servicing and car repairs. Our auto electricians are fully qualified and maintain the widest up-to-date knowledge to fix the following: car air conditioning car battery car batteries power windows and locks SRS and Airbags Starter Motors and Alternators We are open M-F 7:00am to 5:30pm. 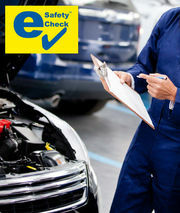 If you are looking for efficient services for E Safety Check Parramatta then just get in touch with Brown’s Automotive. This centre provides capable safety inspections and can help you get your car’s registration in a hassle-free manner. From brakes to oil leaks all this is checked thoroughly by the professionals of this centre. If you are looking for comprehensive and high quality services for 4WD repairs then just get in touch with Garry’s Auto and Batteries. The mechanics of this center offer pre-trip checks along with minor and major repairs for all makes and models of four wheel drives. For more info contact us @ 0298992522 or visit our website https://goo. A mobile mechanic service that comes to you Sydney wide. At home, work or road side assistance which ever is most convenient for you. 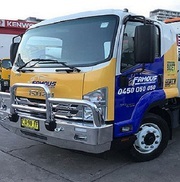 At Pulse Mobile Mechanics the standards are set high to https://www.pulsemechanics.com.au/ Casula NSW 2170 Australia 02 8731 5010. Vehicle security is a very real concern for everybody, and with the latest improvements in security technology, most cars are getting even harder than ever to unlock. info@autokeylocksmith.com.au 408704704 http://autokeylocksmith.com.au/. We take pride in supplying personal service, immaculately maintained generators and prompt, reliable delivery. Being a very small team means we are fully accountable and can deliver to the highest of standards, every time. 414687653 34, 32-34 Campbell Avenue Cromer NSW 2099. The worlds most trusted and proven name in tyre changing equipment. Produces only the best tyre maintenance solutions..
National Car Brokers, is the best car sales online websites to buy a new car in Australia at best Prices. Our professional car brokers will assist you to find the best car deals for you. Call us at 1300922022 for more details! Contact Us :- Company name: National Car Brokers Business Mail id: info@nationalcarbrokers. Australia free ads for Automotive services , Sydney, Automotive services free ads Sydney, Automotive services for sale Sydney, Automotive services to buy in Sydney. Find on this page free classifieds for Automotive services in Sydney. This listing includes classifieds for sale and to buy in Sydney. FREEADSAustralia Sydney offers you a platform to post free advertisements or classifieds for Automotive services in Sydney. FREEADSAustralia helps you search, find buy, sell, rent or hire in various categories like apartments, goods for sale, local services, cars , jobs and many more in Sydney. If you posted an advertisement in category Automotive services of FREEADSAustralia Sydney before please use Edit my ads button to change or cancel your ad. Automotive services Sydney ads Sydney, Automotive services classifieds Sydney, Automotive services free ads Sydney, ads for sale Sydney, ads to buy Sydney, FREEADSAustralia. Find here ads for sale, to buy and rent in Sydney. Goods for sale in Sydney, vehicles for sale in Sydney, Sydney real estate for sale, Sydney property for sale, property for rent in Sydney, business ads in Sydney, Sydney business classifieds, services in Sydney, Sydney services ads, jobs in Sydney, pets for sale in Sydney, Sydney dating, Sydney cars for sale.